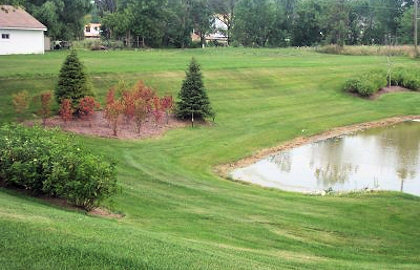 4-Seasons Outdoors offers both residential and commercial lawn mowing. Our mowing service includes string trimming, edging every ten weeks, and blowing. We trim or edge along the foundation of your home or office, fence lines, trees, flower beds, sidewalks and curbs. 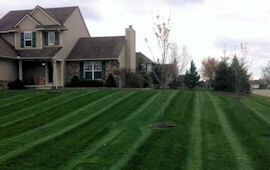 We take the time require making your lawn look good. If we have to cut lawns twice in one visit, then we do so at no extra charge. We sharpen our blades daily, always alter the cutting pattern, and never leave clumps of grass behind. Learn more about proper lawn mowing and call (810) 845-3543 today for a free estimate. Aeration is the removal of hundreds of small soil plugs from a lawn to help break up soil compaction and improve root growth. This helps stimulate root growth to create healthier, stronger turf grass. Learn more about lawn aeration. Detatching, or power raking, removes of the excessive layer of debris that accumulates above the soil and below the blades of grass. Spring is the best time for dethatching in Michigan. 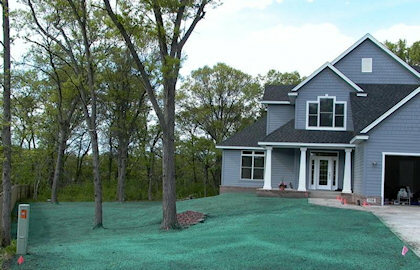 Learn more about lawn dethatching. We offer effective lawn fertilizing and pest control programs to keep your grass healthy. Call (810) 845-3543 today for a free estimate. Overseeding in the Fall after lawn aeraion makes the lawn more disease resistant, drought resistant, and insect tolerant. Expect great results with 4 Seasons Outdoors when you need to establish a new lawn or repair an existing lawn. 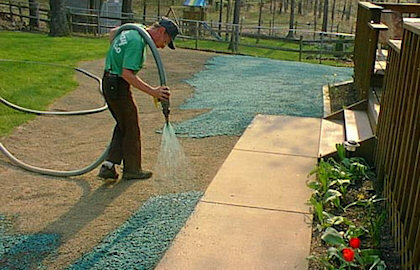 We work with you to choose the best techniques including hydroseeding or laying sod. Call us at (810) 845-3543 for a free estimate .